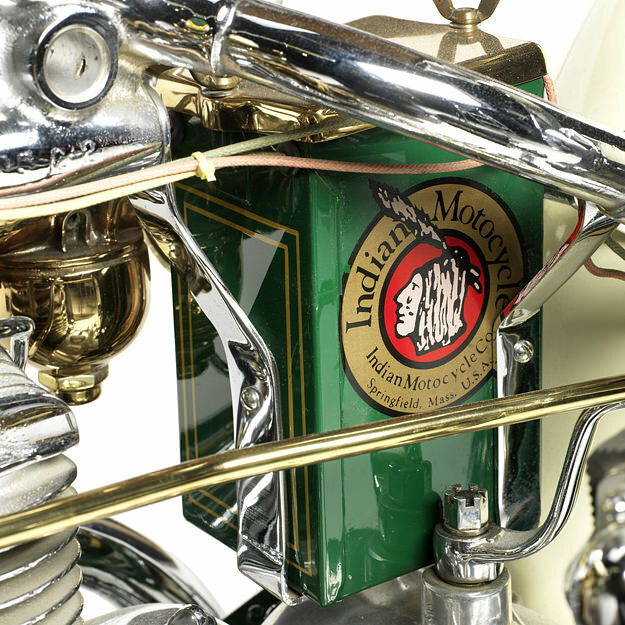 By David Edwards—Indian aficionados, especially those of the 100-point concours persuasion, may want to click away from this page quick as you can—or at the very least up your heart meds. 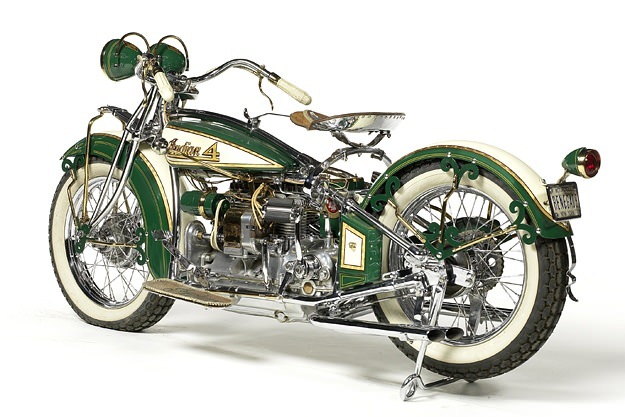 Shown here is either straight-to-hell blasphemy on two wheels or a pretty cool piece, depending upon your sensibilities. 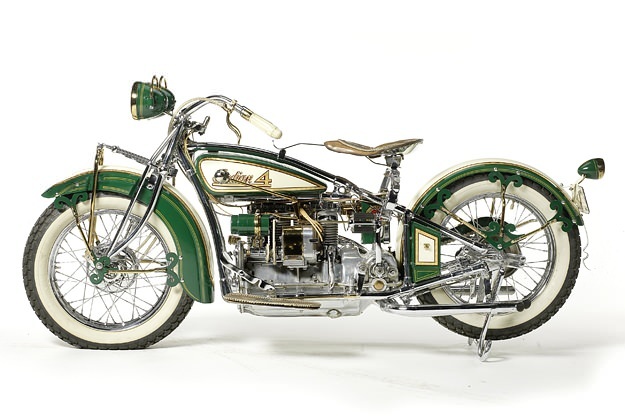 It began life as a 1930 Indian 4, Springfield’s first-gen four-cylinder, which had design roots back to Ace and before that Henderson. 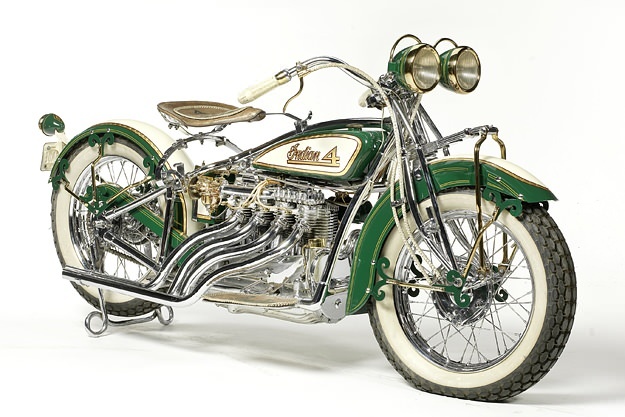 Today a showroom-stock Indian 4 can bring upwards of $65,000, making it a genuine blue-chip collectible. What we have here is most assuredly not a showroom-stocker. It was built from a rusty basketcase in the 1990s by New York City carpenter and skilled part-time customizer William “Wild Bill” Eggers. By his own count Wild Bill, now 70 and retired to Connecticut, built hundreds of motorcycles over the years, almost all of them, “custom and just for the fun of it, not for show competition.” Just as well, really. “Yeah, I wasn’t exactly welcomed by the purist crowd,” he says with a laugh. 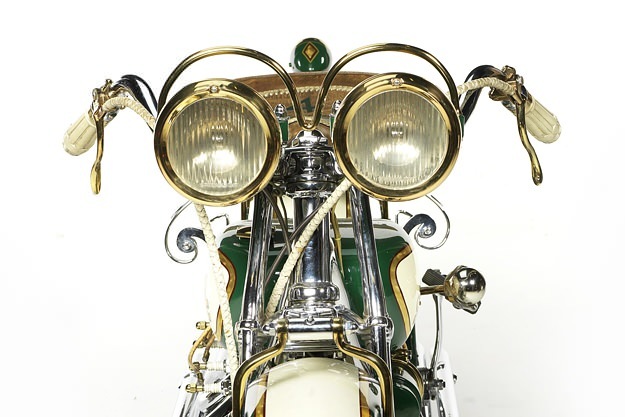 A chrome-plated frame tends to tweak vintage noses, and let’s not even mention the several—egads!—gold-plated pieces. Then there’s that hand-bent wavy-gravy exhaust, a 4-into-2 x 2 setup. More deductions for the repurposed twin Excelsior headlights and the Schwinn bicycle headlamp turned into a taillight. Less said about the curlique’d fender mounts the better, am I right, judges?